Carpet flooring is among the most popular flooring options in Singapore today. Carpet floors have gained popularity due to their warmth, softness , and the aesthetic appeal they give a home. Carpets are actually the most treasured items you can find in most Singapore homes. A carpet can break or make the appearance of your house depending on how clean you keep it. This is the reason why every homeowner will always want to have a clean carpet so that it makes their home look elegant in appearance. A clean carpet enhances the look of your house. It also ensures the indoor air quality is good. No matter how hard you try to make sure your carpets remain clean, they must get dirty as long as you are living in the house. Once your carpet gets dirty, the appearance of the entire room is untidy. As a result, it’s advisable to ensure your carpet is sparkling clean all the time. You can choose to do it yourself or hire a Singapore carpet cleaning professional to do if for you. Carpets easily accumulate dust particles and other forms of dirt since we are always stepping on them with our bare feet. Sometimes they will get stubborn stains that cannot be removed easily. There are various methods that are used by homeowners in Singapore. For effective carpet cleaning, special detergents and cleaning materials are required for a worthwhile cleaning experience. A majority of Singapore homeowners do not find it necessary to clean their carpets. 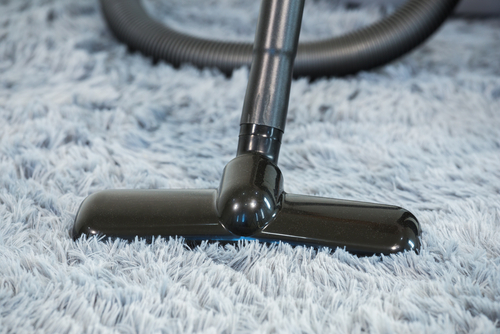 Carpet cleaning has a lot of benefits for homeowners. For instance, a clean carpet adds to the aesthetic feel of a home. When your carpet is always kept clean, its life gets extended significantly. Most importantly, you prevent the health risks that dirty carpets pose to your family. The most popular equipment used in carpet cleaning is the vacuum cleaner. This tool works by sucking out solid particles and dirt that is stuck to the surface of the carpet fibers. What are some of the health benefits that come with regularly cleaning your carpet? A carpet that is not kept dry and vacuumed frequently is prone to growth of mold. This is common with homeowners who live in the high humidity zones in Singapore. In the humid areas, houses are constantly exposed to moisture due to the precipitous weather. This means moisture will find its way into carpet fibers and cause growth of harmful mold and mildew. Regularly vacuuming your carpets whenever they are exposed to moisture keeps away the possibility of mold/mildew growth which can be harmful to the occupants of the building. A dirty carpet retains air pollutants such as pet fur, allergens , dust particles , and harmful bacteria. If not cleaned regularly, these substances will stick to the surface of your carpet and will release into the air whenever agitated. This is a big risk to your health and that of your family. Cleaning helps to remove these pollutants and kill any bacteria that the carpets might be harboring. A dirty carpet is a breeding ground for dust mites. These small pests can cause allergies and other skin infections. Steam cleaning your carpet gets rid of dust mites. Just like clothing , carpets wear out when exposed to dirt for a long period of time. Cleaning your carpet the right way ensures all the dirt that is retained in the fibers is removed. Apart from keeping it fresh and good-looking, it extends its life. There are several techniques that are used to clean carpets. Each cleaning technique has its advantages as well as disadvantages. This is a technique that is used by most Singapore homeowners nowadays due to the many advantages it presents in terms of performance and convenience. 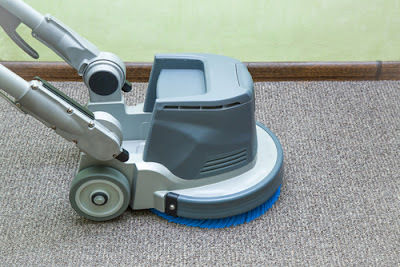 Some of the advantages of this technique include; fast drying time, its easy to use, and can be used to clean delicate carpets without destroying them. This method is similar to the dry cleaning technique as it does not make use of water. In this procedure, a synthetic detergent with cleaning and crystallization agents is used. The cleaning agent loosens the dirt particles in carpet fiber. The crystallization agent then encapsulates them into powder and dries them into crystals that are vacuumed away. This method is popular among Singapore homeowners as it uses less water. Moreover, it’s an eco-friendly technique as it leaves less chemical residue after cleaning. 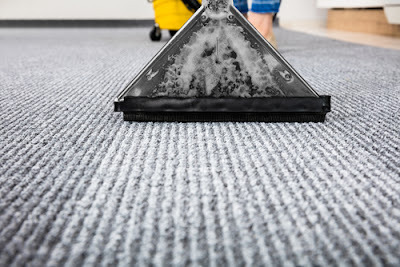 Also known as hot water extraction, steam cleaning involves subjecting the carpet to high pressurized hot water to remove dirt that is stuck onto the carpet. Prior to stem cleaning , the carpet is pre-conditioned using a cleaning solution that liquefies oily substances. The solution loosens and dissolves all the dirt in water. The water is then extracted from the carpet by means of a vacuum. Steam cleaning is a safe and effective carpet cleaning technique in Singapore. The Bonnet technique is also a dry cleaning procedure that is commonly used for light cleaning of carpets especially in busy buildings. This technique is good at removing stubborn stains from carpets. This procedure involves a rotating brush that scrubs off accumulated dirt from a carpet. A heavy motorized machine fitted with a spinning pad that is soaked in a cleaning solution is used to absorb dirt from the carpet surface. This technique produces an incredible surface cleaning result. The Bonnet technique is preferred by most people as it uses a minimal amount of water. It also dries fast. A carpet is a significant investment for most homeowners in Singapore and as a result it should never be neglected. Professionally cleaning your carpet should be the first priority as it has many significant benefits .